The Fleecewool Hoodie is the most comfortable layering piece to complete your protection, as it feels like a second skin. It combines two materials in a manner that maximizes the benefits of each. 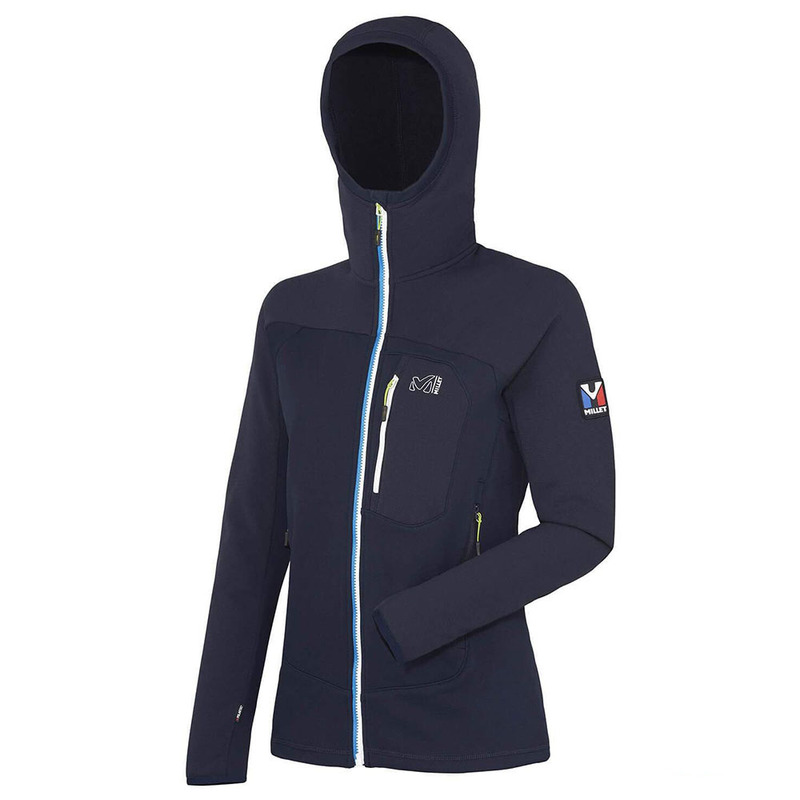 The top of the body and the hood are made of Powerwool, a technical stretch fabric recognized for its thermal properties. It is composed of wool, which is naturally moisture-wicking and anti-odour. And the bottom of the body is made of Fleecewool, an exclusive material from Millet, also composed of wool, for enhanced warmth and comfort. Trilogy, for Millet, is the ground of modern mountaineering when you take the essential and carry the lightest weight on your ascent, trace new routes, climbing quickly and steadily. It is the lightweight �revolution�. The Trilogy collection gets its name from the mountaineering history. In the 80s, �ric Escoffier and Christophe Profit, mountaineers from the Millet team, set a challenge: A solo peak bagging winter ramble of the three North faces (Cervin, Eiger, Jorasses).